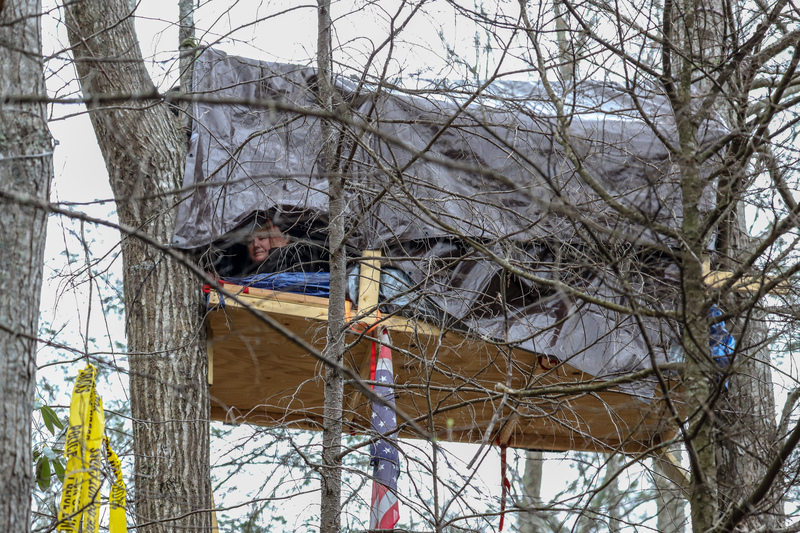 In a rare turn of events, last Wednesday the Federal Energy Regulatory Commission (FERC) denied Dominion Energy’s request to extend seasonal tree cutting along the Atlantic Coast Pipeline path (ACP), the proposed 600-mile natural gas line running from West Virginia through North Carolina. Dominion Energy was originally given until March 14 of this year to cut trees due to time-of-year felling restrictions intended to protect migratory bird species and endangered species such as warblers, owls, and the Indiana bat. 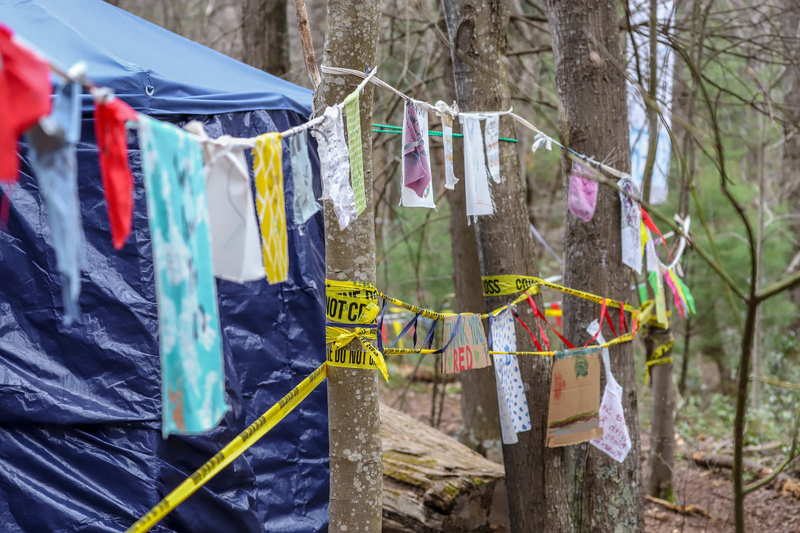 FERC determined that “it would not offer an equal or greater level of protection” to extend their allotted time for tree felling, according to the letter sent to Dominion by FERC’s Division of Gas Director, Richard McGuire. 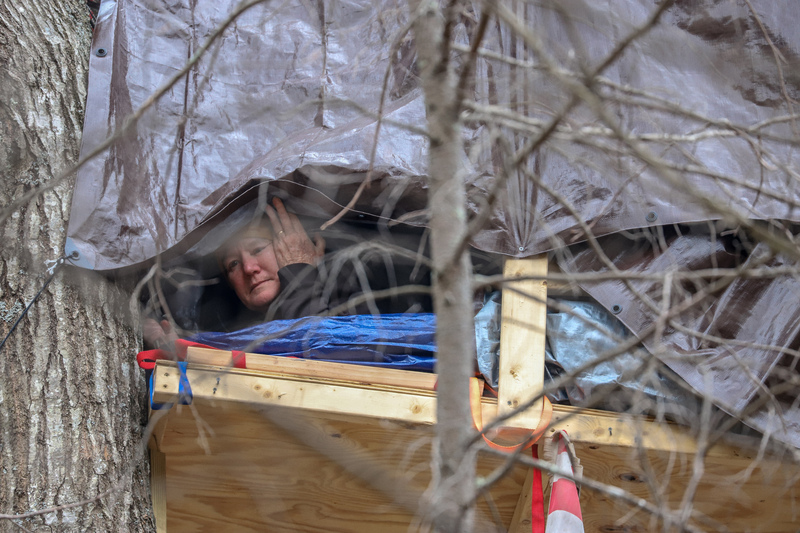 Legal teams and environmental groups like the Southern Environmental Law Center, Appalachian Voices, and the Sierra Club have spent the past several years fighting the pipeline construction. Despite these efforts, Dominion predicts the project’s completion by 2020. 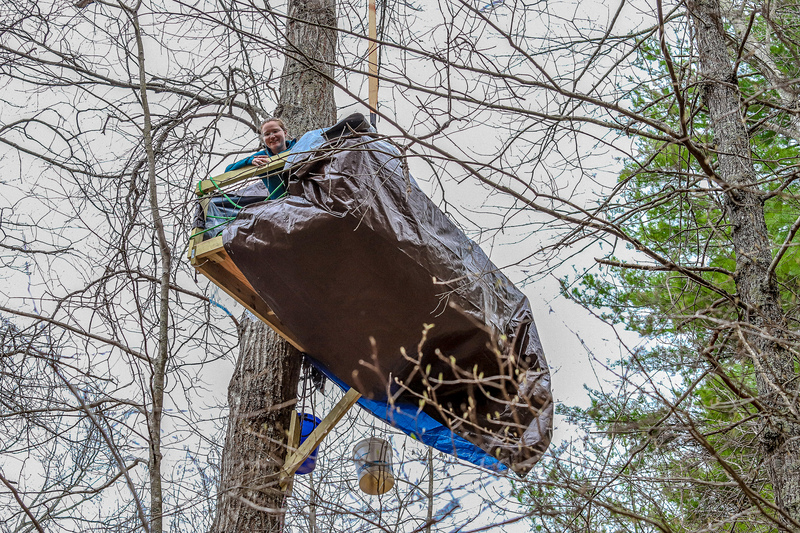 Thus far, Dominion claims to have cut over 200 miles of trees on the projected pipeline path. 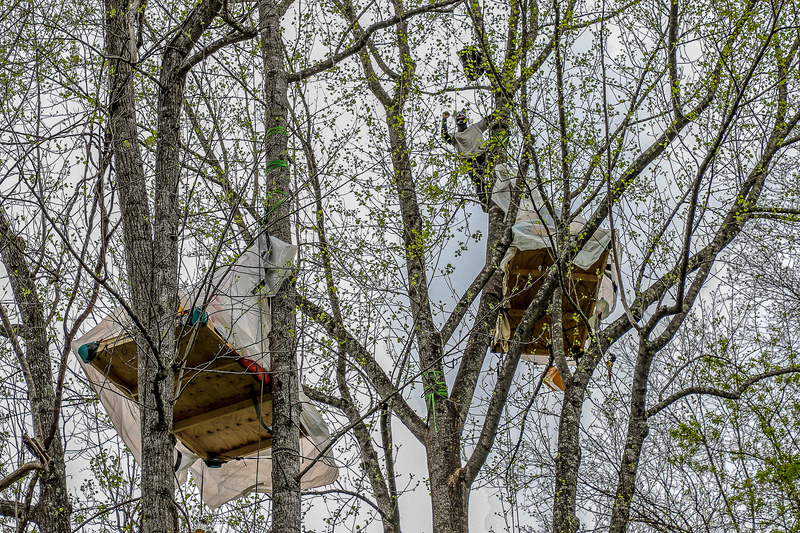 This rejection to extend tree felling follows another blatant negligence from Dominion, as the Virginia Department of Environmental Quality (DEQ) cited 15 violations of State Water Control laws and regulations that occurred during the felling along the ACP last month. 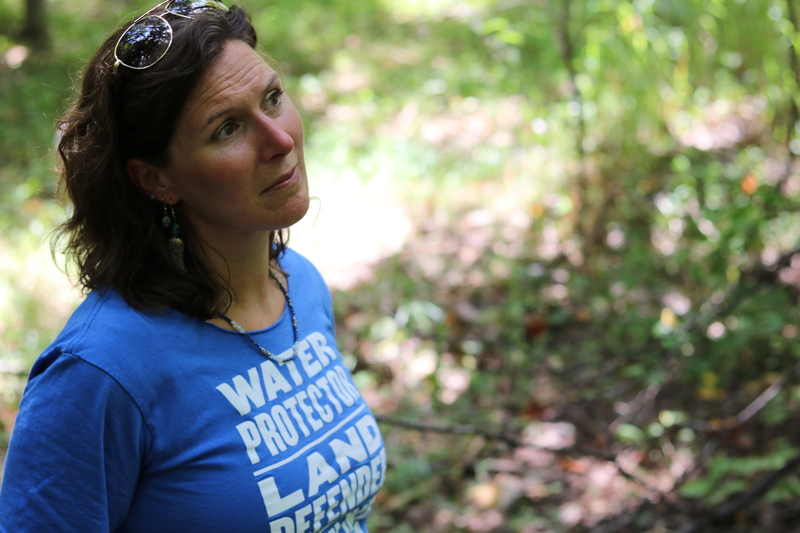 Dominion’s sister project, the Mountain Valley Pipeline (MVP), has also met resistance from landowners and environmental groups. Similarly to the ACP, locals fear sediment pollution in waterways, unstable conditions due to a karst landscape, damage to private lands and to local endangered species, among other concerns. 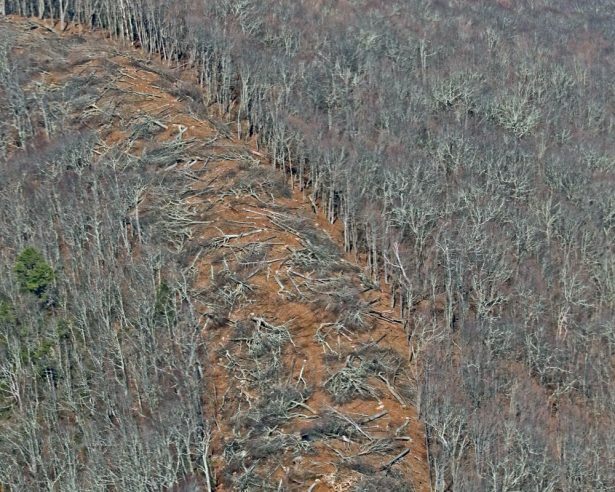 Last month, MVP began tree felling in the Brush Mountain Wilderness area in the Jefferson National Forest, land that is normally protected by the Department of the Interior. The United States Forest Service granted MVP the permit required to build through the national forest, roadless land normally reserved for wildlife and outdoor recreation. Groups like the Sierra Club and the Southern Environmental Law Center continue to take legal action against ACP and MVP. 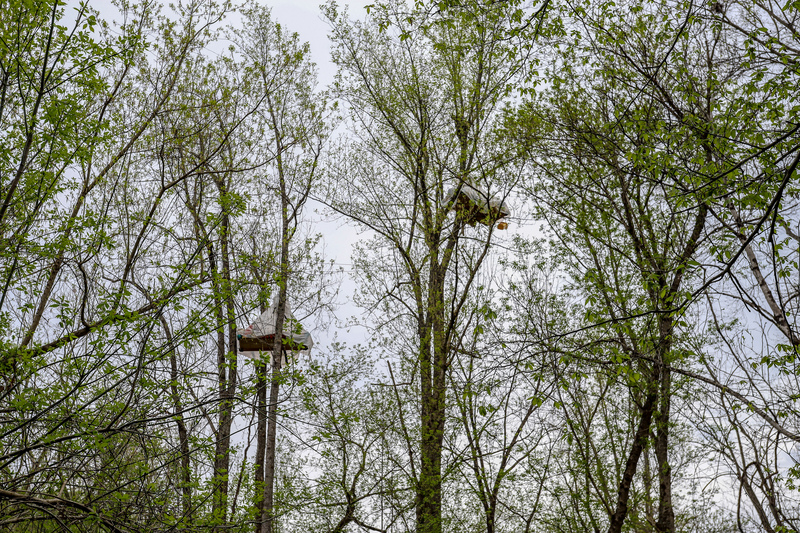 Dominion has permission from FERC to continue tree felling in the fall, once the migratory bird species move on for the winter. 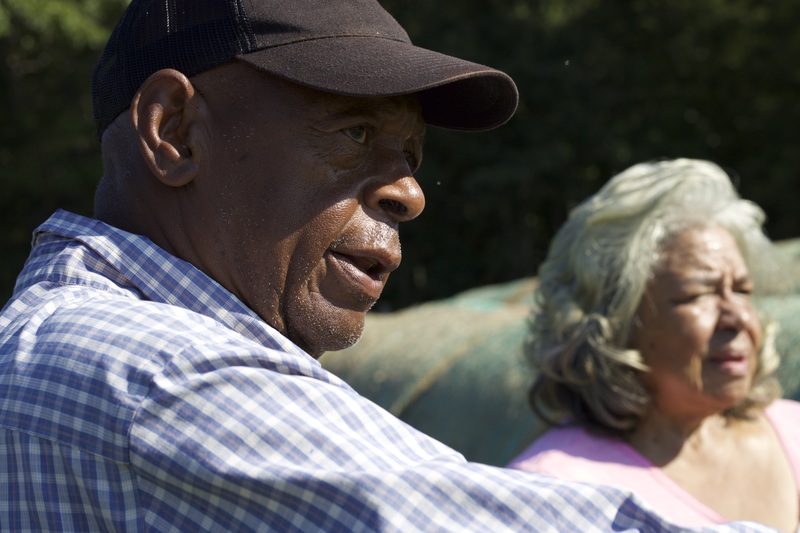 After a two-day hearing in Richmond’s north side with the Virginia Department of Environment Quality (DEQ), the State Water Control Board approved the Mountain Valley Pipeline, LLC (MVP) permit request. With five board members in favor and two opposed, the motion grants MVP the right to proceed with plans to build 303 miles of natural gas pipeline through West Virginia and Virginia, which many landowners fear will contaminate their groundwater, harm the local environment, and force them from their homes. 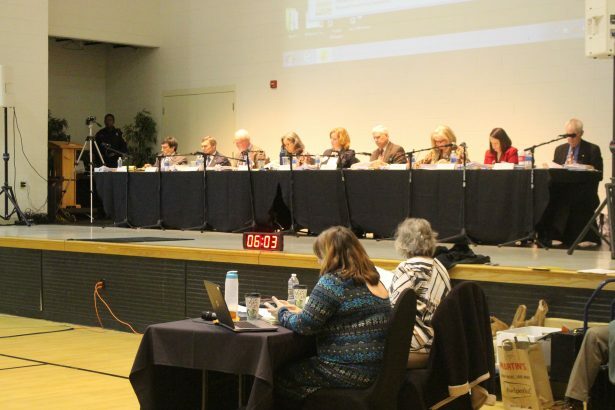 The first of two hearings concerning pipeline projects in Virginia, the Virginia State Water Control Board and DEQ used this hearing to determine if MVP will uphold environment protection and water quality standards in Virginia before, during, and after the construction of the pipeline. 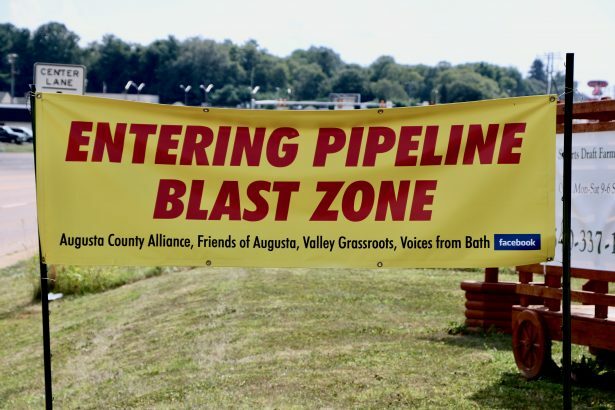 A second hearing of the same nature will be held next week to ensure the Atlantic Coast Pipeline (ACP), a 600 mile pipeline slated to run through western Virginia, will uphold the same standards. Over the past two days, dozens of landowners, as well as several environmental experts, gathered in Trinity Life Center to offer personal testimony for the Board. 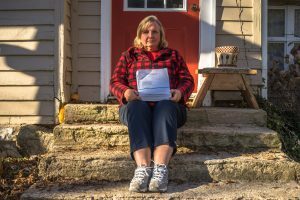 Representatives from MVP were required to present detailed construction plans, many of which are not yet properly approved, according to MVP Water Permitting Division Director Melanie Davenport. Under section 401 of the Clean Water Act, states are given authority to determine if any project or activity needing a federal permit is compliant with the state’s water quality standards. 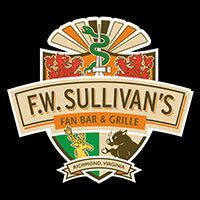 The Board used five regulatory and review categories to examine the effects of a pipeline in Virginia: an environmental impact review, stormwater, erosion and sediment control, federal wetlands and stream regulation, Virginia water quality certification, and water quality monitoring. Large numbers of Virginia State Police were also present at the hearing, with at least three officers at every entrance to the community center and several patrolling from an overhead balcony. 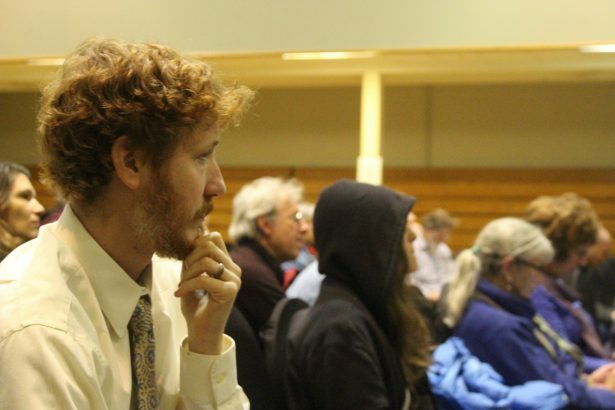 Although over 100 people were in attendance the first day of the meetings, many landowners needed to return home and around 60 remained for the following day. 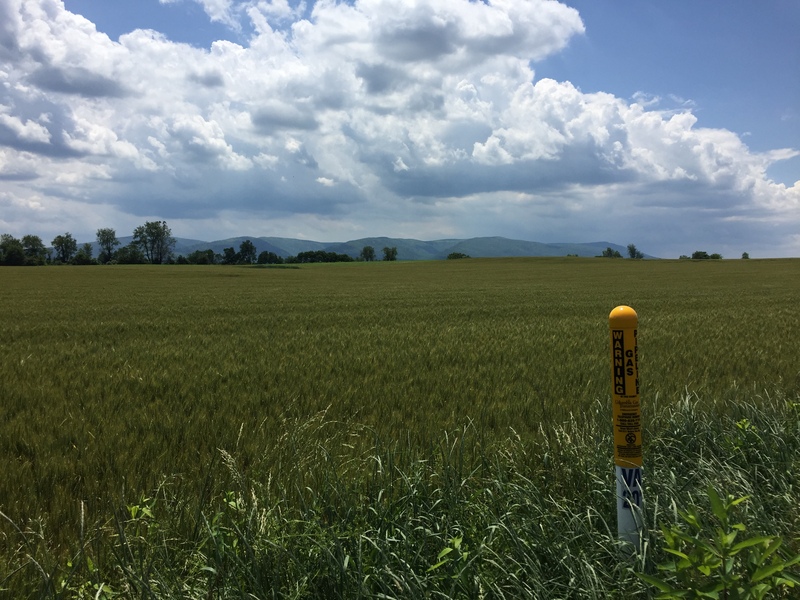 According to Dr. Hearst Kastning, a karst landscape expert, pipeline leaks are likely to occur due to the high degree of seismic activity in this region of Appalachia. Landslides are also common in the area, a phenomenon likely to increase once pipeline construction begins and large numbers of trees preventing erosion are removed. This hearing’s verdict differs from those recently made in West Virginia, whose Department of Environmental Protection waived their state’s authority under the Clean Water Act. The responsibility to grant the Atlantic Coast Pipeline (ACP) and MVP permits in that state will now fall to the FERC and the U.S. Army Corps of Engineers. 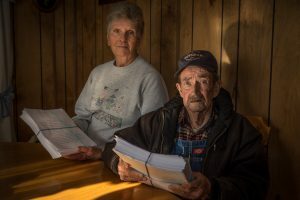 In waiving their rights, West Virginia’s State Water Control Board also avoids any opportunity to be sued for negligence. 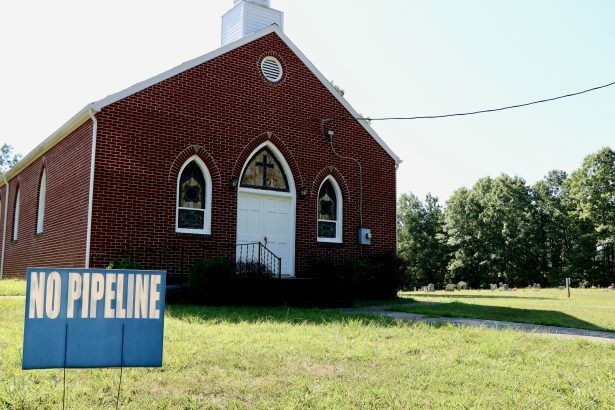 The DEQ hearing with Virginia’s State Water Control Board for the Atlantic Coast Pipeline permit will take place December 11 and 12 at 9:30 a.m. at Trinity Life Center. Attendance to open to the public. Testimony is allotted to those whose time was reserved in advance. 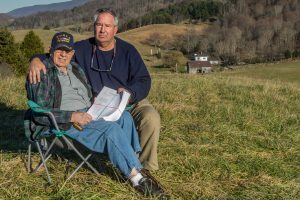 In the wake of the gubernatorial election, the developing Atlantic Coast Pipeline (ACP) and Mountain Valley Pipeline (MVP) projects continue to be a major environmental and political controversy as Mountain Valley Pipeline, LLC has now sued over 300 landowners for eminent domain of their properties. 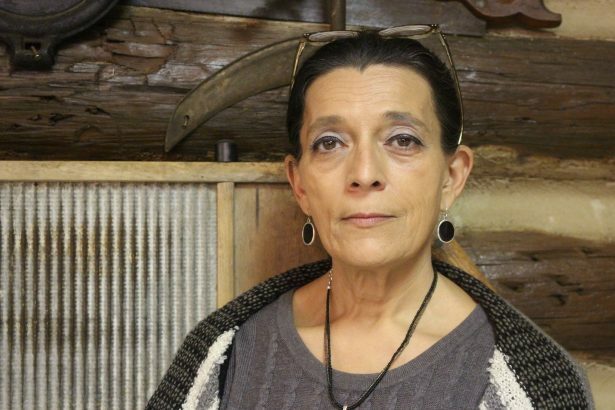 While this lawsuit was not a surprise to Virginia landowners, the sheer volume of those being served is unusual in cases like these, according to Carolyn Elefant, the lead lawyer representing Bold Alliance in the group’s own lawsuit against the Federal Energy Regulatory Commission (FERC), ACP, LLC and MVP, LLC. MVP and ACP hope to gain land to build their pipeline projects using eminent domain, a power to take private property for public use while giving ‘just’ compensation to the original owner. It is normally a power reserved for the federal government, but may be extended to private companies if the project is proven as a public utility and approved by the government. 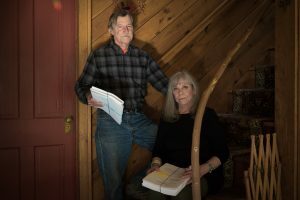 Usually, once the pipeline undergoes the approval process from the appropriate environmental regulatory groups, such as FERC and the Department of Environmental Quality (DEQ), landowners will settle their claims rather than contest them. 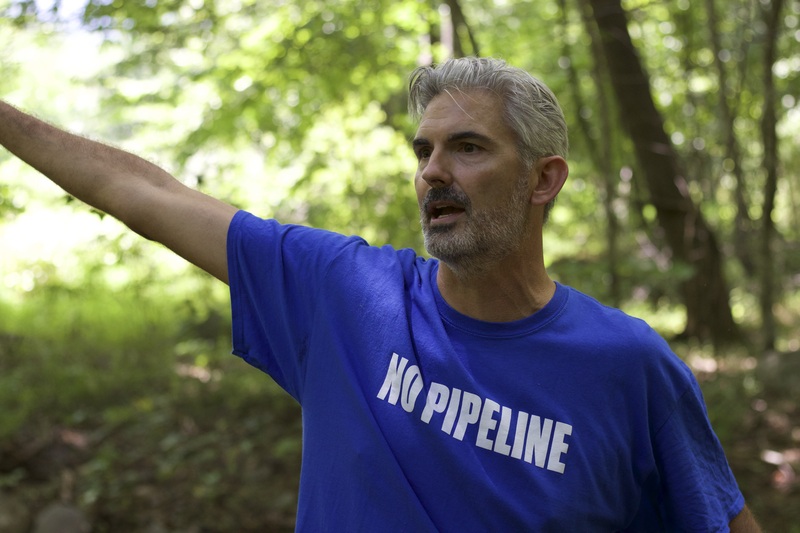 In these cases, the pipeline company would need only to sue about 50 people. Elefant predicts that MVP, LLC hopes landowners will settle their cases more quickly so they may begin the construction process. 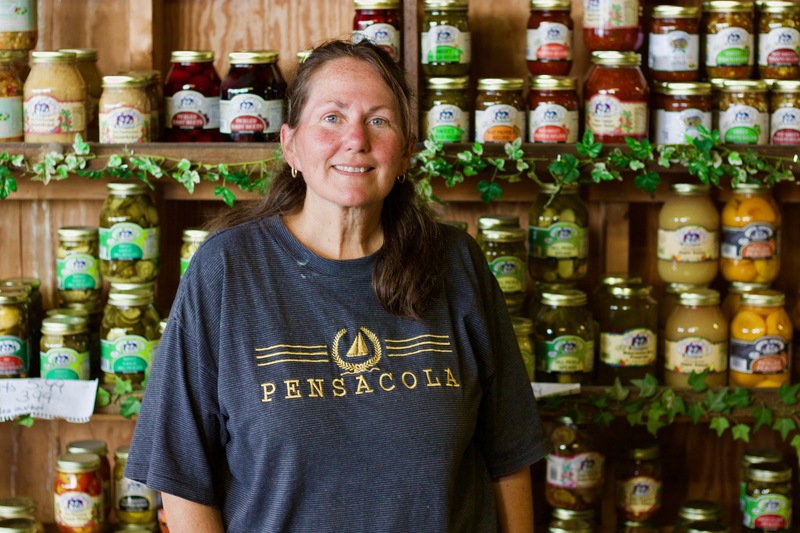 In this new lawsuit, MVP, LLC is demanding to be able to take landowners’ property through eminent domain while deciding compensation at a later date. It would provide the company with a great deal of leverage, since MVP then has little incentive to negotiate compensation price once the land has been won. 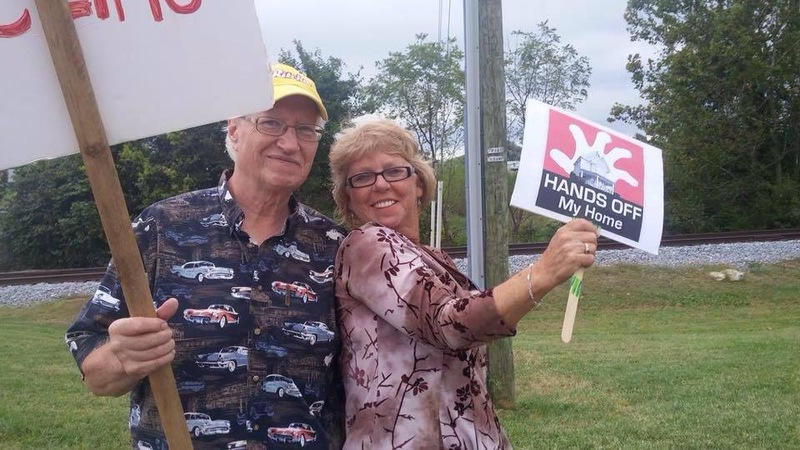 Elefant believes their best course of action is to challenge the constitutionality of eminent domain, as well as other issues landowners like Reilly have found. 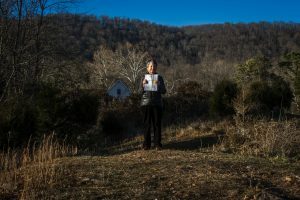 “The Mountain Valley case is really one of the first cases I’ve seen where there has been this concerted opposition on all fronts–attacking the environmental impacts, attacking whether there’s actually a real need for the project, and attacking whether the use of eminent domain is constitutional and raising all of those issues very early in the process, plus having a majority of landowners actually represented by attorneys when they’re approached by the pipeline,” Elefant explained. A hearing has been scheduled for December 28, which may result in a rescheduling of the event depending on the number of attendees. In a case with this many people involved, it may take weeks for a court to make any decision. 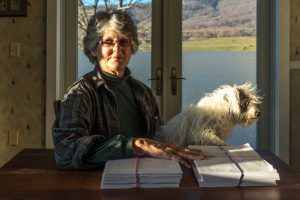 Although FERC still approved the project, Elefant noted that she had worked on only one other case in which a FERC commissioner dissented in a pipeline case. She also predicts one of these cases will move to an appeals court, and perhaps the Supreme Court, considering the number of new issues these lawsuits introduce. 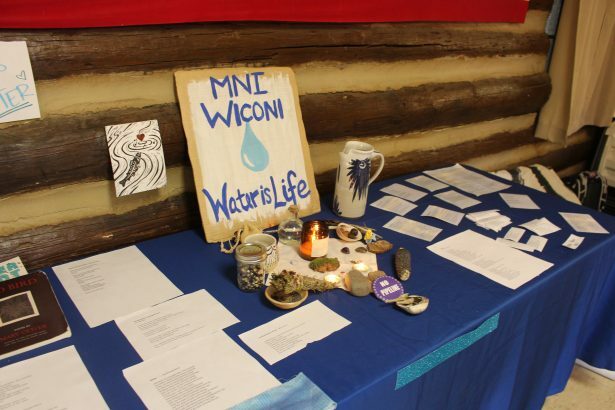 Bold Alliance will be hosting a “Water is Life” rally and concert on December 2 at the Virginia State Capitol and The National from 1 p.m. until 4 p.m. preceding a series of final hearings in Richmond concerning the approval of the ACP and MVP pipelines.